Some serovars of Salmonella enterica subspecies enterica contain serovar-specific virulence plasmids. The availability of complete nucleotide sequences of S. Enteritidis virulence plasmid (pSEV) made it possible to trace its evolutionary changes. We studied the virulence plasmids of S. Enteritidis from different strains to reveal the evolution of pSEV and determine the ancestral plasmid and its exact size. Comparison of all available sequences of S. Enteritidis virulence plasmids showed that they were conservative and limited in size. These sizes ranged from 59 336 to 59 374 bp, and more than half of the plasmids had a size of 59 372 bp. The plasmid gene composition is conserved and consists of 81 open reading frames with small pseudogenization of plasmids, the sizes of which differed from 59 372 bp. 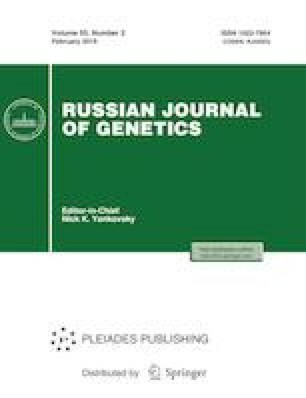 It was suggested that the prototype of S. Enteritidis pSEV virulence plasmid was a plasmid from the SEJ-like ancestral strain with a size of 59 372 bp and the same nucleotide and gene composition as in S. Enteritidis strain SEJ. The sequence of this plasmid can be used as a reference for all future studies on the S. Enteritidis virulence plasmid.